Find below info and press kit for the new gear from EBS presented at MUSIKMESSE 2015! EBS now introduces a new generation BLACK LABEL PEDALS – the Studio Edition. 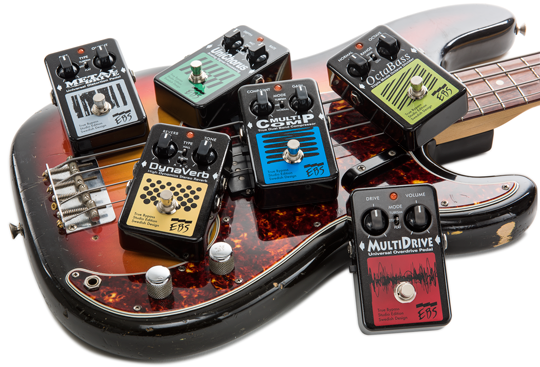 While being faithful to their origins when it comes to the sonic qualities, the new generation of pedals feature several improvements and a new distinct design to be able to serve yet another generation of great bass players. The six STUDIO EDITION models introduced in the spring 2015 will be: MultiComp SE, DynaVerb SE, UniChorus SE, OctaBass SE, MetalDrive SE and MultiDrive SE. New low noise switching using signal relays for extremely low mechanical noise and improved life span. Jumbo sized led lights for better action indication. New design handling 9 to 12V DC power. Better protection for accidental voltage spikes. New design for stronger individual identity. Optimized signals for studio environment. in combination with analog technology. The EBS Magni 500 is available in two configurations, the 210 (2×10” + tweeter) and the 115 (1×15” + tweeter). Both use an amp section based on the award winning Reidmar design consisting of an all analog preamp with a lightweight power amp section. 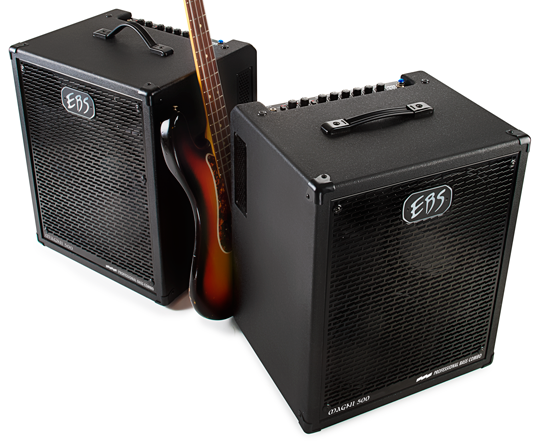 The EBS Magni 500 bass combos will be delivered with a protective cover. Based upon the award winning Reidmar amp design. Extremely transparent to the character of your instrument. Fast responding and easy to dial in. High efficiency speakers for best tonal character. Available in 2x 10” and 1x 15” full range configurations with tweeters. Balanced XLR output with ground lift. THE EBS REIDMAR NOW COMES IN A WILDER AND STRONGER VERSION CALLED THE 750. A LIGHT-WEIGHT DESIGN THAT CHALLENGES ANY HEAVY-WEIGHT BOUTIQUE AMP IN TONAL QUALITIES. EQUIPPED WITH EBS FAMED ANALOG PREAMP TECHNIQUE COMBINED WITH A CLASS D POWER AMP. The EBS REIDMAR 750 is based on the award winning design of the original Reidmar and offers an outstanding power-to-weight ratio with an output up to 750 W.
The preamp is almost identical but the added Drive section adds to the palette of tools to shape your tone and make it wilder and more aggressive than its smaller companion. On the back, the new Reidmar 750 shares all features with the 470 and also features remote footswitch control inputs. Connect the EBS RM-4 footswitch to activate and/or bypass the Drive, Character filter and EQ section on the amp as well as to mute the sound. The Reidmar 750 is the perfect light-weight amp to use with any full size EBS cabinet. It won’t let you down on any type of gig! Effects Loop.Built-in Compressor.Character Filter. Filter Bypass. Notch Filter to prevent feedback.Bright Filter. Drive. XLR-Out with Speaker Simulation. Possible to use with the EBS RM-4 footswitch to control Character Filter (On/Off), EQ-section (On/Bypass), Drive (On/Off) and Mute. EBS IS KNOWN AS ONE OF THE TOP BRANDS THAT MAKE PEDALS FOR BASS PLAYERS. OVER THE LAST YEARS, THERE HAS BEEN A GROWING DEMAND FOR EBS EFFECTS AMONG GUITARISTS AS WELL.THE COMPANY NOW LAUNCHES A LINE OF EFFECTS SPECIALLY MADE FOR GUITAR – THE RED LABEL PEDALS! 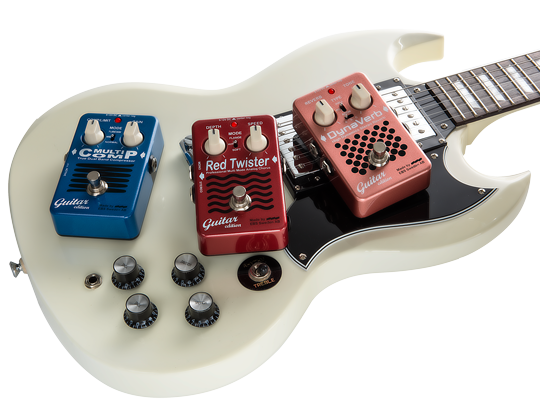 Two of the first three units in the RED LABEL SERIES are GUITAR EDITIONS of EBS most popular effects among guitarists – the MultiComp GE and the DynaVerb GE. The third is the Red Twister GE chorus, that originally came out in very limited numbers back in 1999 (and thus now very sought after in the second hand market). It now makes its comeback in an improved and up to date version. All effects are made, tweaked and twisted to benefit the electric guitar the most. The Red Label Pedals are designed and developed by EBS with the collective input from EBS guitarist customers feedback, as well as from a selected group of some of the most busy professional guitarists in Sweden. A limited edition will be available already in the Spring of 2015, with worldwide availability in the Fall of 2015. All models have excellent full range frequency response with no roll-offs. Studio sound quality with a character that reveals the tone of the instrument. Handling 9 to 12V DC power with protection against accidental over voltage. Signal relays switching technique for extremely low mechanical noise and long life span. Brought to you by EBS Sweden AB. Visit http://www.ebssweden.com for more. This entry was posted in Uncategorized on April 15, 2015 by ebssweden.